Just because tornado season is winding down, doesn’t mean you should forget about severe storms hitting. During the off-season, there are plenty of things you can do in order to prep for next season. Below are our top tips for how to use the off-season as a prime time to prep for tornado season. Find out where the nearest shelters are (make sure your kids also know these locations). Purchase an emergency radio (preferably a hand-crank). Prep your bug-out bag and have it ready to go. If your kids have friends or family they spend a lot of time with, find out what those families have planned in case of a tornado. Get an extra cell phone charger. During tornado season, always have your phone charged, and keep an extra charger in your bug-out bag. 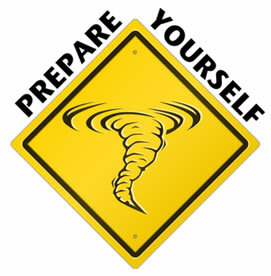 Check the FEMA website for helpful information regarding tornado preparedness. Have flashlights, oil lamps and other sources of light. Also, extra batteries are a must! Talk to your neighbors! Find out how they have weathered past tornado seasons. Make a family plan. Have practice drills so everyone knows what to do and where to go. It is also best to have an occasional drill in the middle of the night. 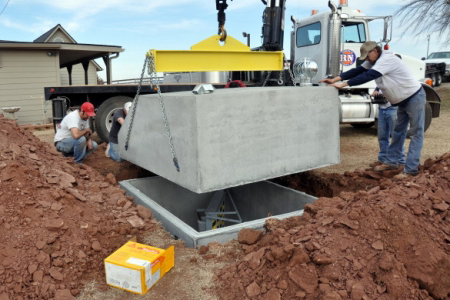 Have at least 72 hours’ worth of food and water stored in a cellar, interior closet, or other safe place. Know how to safely shut off your electric service, gas line and water. Keep cash at the ready. 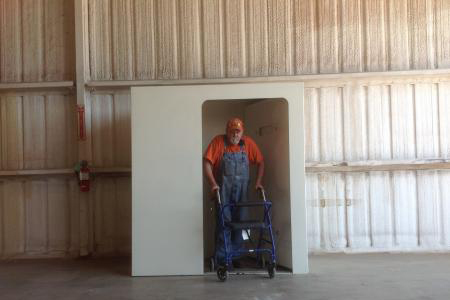 Keep a small refrigerator or freezer in the basement. Know how to be as safe as possible wherever you are. You may be visiting friends, out shopping, or at the park when a tornado hits. Some TV stations offer free weather warnings via text messages. Check the websites of your local TV and radio stations to see if they offer this service. You can also check out these apps for survival and emergency situations. 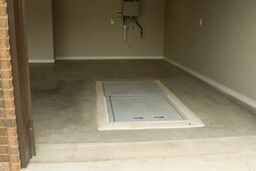 Last, and certainly not least, the number one thing you can do to prep is to purchase a storm shelter! We hope this article gave you helpful ideas that you may not have thought about before. Take the off-season months and get prepared!